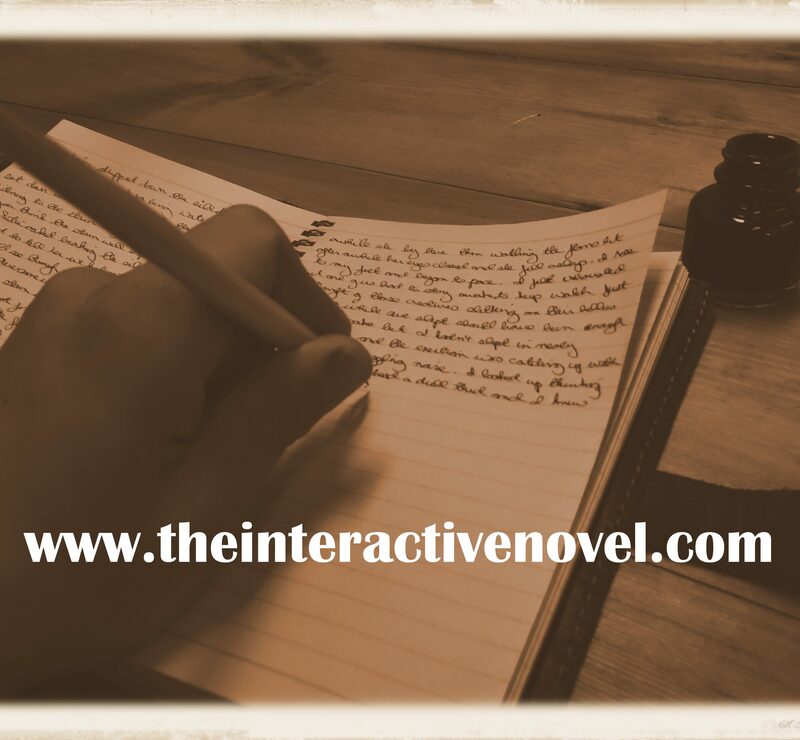 Welcome to The Interactive Novel, the novel that allows you the reader to decide what happens during the novel. Whatever option receives the most votesdecides what happens. To take part, read the instalment below and then make your vote. After a terrifying encounter in a haunted house Nigel Briggs, assistant to Professor Ashcroft debunker of the supernatural, decides to resign. Before he can write his resignation letter he is summoned to the professor’s study where a girl, Anne Farmer, who hints she can foresee the future, requests his help. Moments latter a doctor from an asylum restrains her and takes her away. On leaving Nigel asked how the doctor managed to find her. The doctor reveals Anne had caved Nigel’s name and address into the walls of her cell. The next morning Professor Ashcroft requests that Nigel accompany him to an auction. Going under the hammer is a supposedly cursed artefact (the Amulet of Nergal). However, the auction is interrupted by some armed robbers. During their robbery a porter is killed, and the amulet vanishes. Find out what you voted for with the next instalment below. I rushed over to the window. A Black Maria was parked outside the house, a carriage designed for transporting criminals. “It’s the police,” I whispered. “What do we do?” Neither of us wanted to have to explain what we were doing beside a dead body with a knife in his back. The police were still searching the ground floor. We were trapped. If we tried to flee it would only be misinterpreted as an indication of our guilt. I could only think of one option. “Up here,” I cried out. There was shouts from below acknowledging my cry. A constable cautiously climbed up through the hole. He scrambled up into the room followed by two more constables and a detective. Two of the constables rushed towards me. I was then shoved face first against the wall. One of the constables held my arms while the other patted me down. “We didn’t do anything,” Gertie said. The detective prized the amulet for the dead man’s hand. Staring at it as if transfixed he rubbed his index finger along the surface of the amulet. He yelped and withdrew his finger. A sharp edge had torn his finger tip open. “Get them both down to the station,” he mumbled sucking on the cut. Climbing down the ladder I took one last look in the room. The detective was sucking his bleeding finger while he continued to stare at the amulet in his hand. At the police station Gertie and I were separated. I was taken to an interrogation room. The door opened and in walked the detective that had arrested us. He had a bandage over his finger. Accompanying him was Chief Inspector Finch. “Not that I have heard of, sir,” Moore said. Subconsciously his hand moved to rest on his jacket pocket. Moore glared at me almost willing me to contradict him. His face had gone pale and sweat was beading on his forehead. Was he worried I would give him away for stealing the amulet. Finch rose out of his chair. Moore staggered to his feet. He swayed slightly as if standing was an effort. It was early evening when Detective Moore returned. If anything his condition had worsened. He was sweating profusely, and his speech was slurred as he stated I was free to go. Staggering he led me to the reception where Professor Ashcroft was talking to Finch. Without a word the Professor spun on his heels. Gertie and I followed him into the cab. It was an uncomfortable journey back to the Professor’s house. Expecting me to hang his coat before following, he marched up the stairs. “Looks like we are both in for it,” I said to Gertie. I made my way up to his study. The Professor sat behind his desk. From the floor below there was the muffled shouts of Mrs Cooper. Gertie was certainly getting an earful. I told the Professor about Gertie finding the note, visiting 22 Pear Lane and my suspicion that Peter Boden was involved in the robbery. “Yes sir.” I said with every intention to comply. Except unknown to me at that moment, circumstances beyond my control were conspiring to draw Elmwich Asylum and the cursed artefact back into my life. What happens next is up to You! The choices with the most votes will decide what happens next, so choose wisely. To make your vote click below.